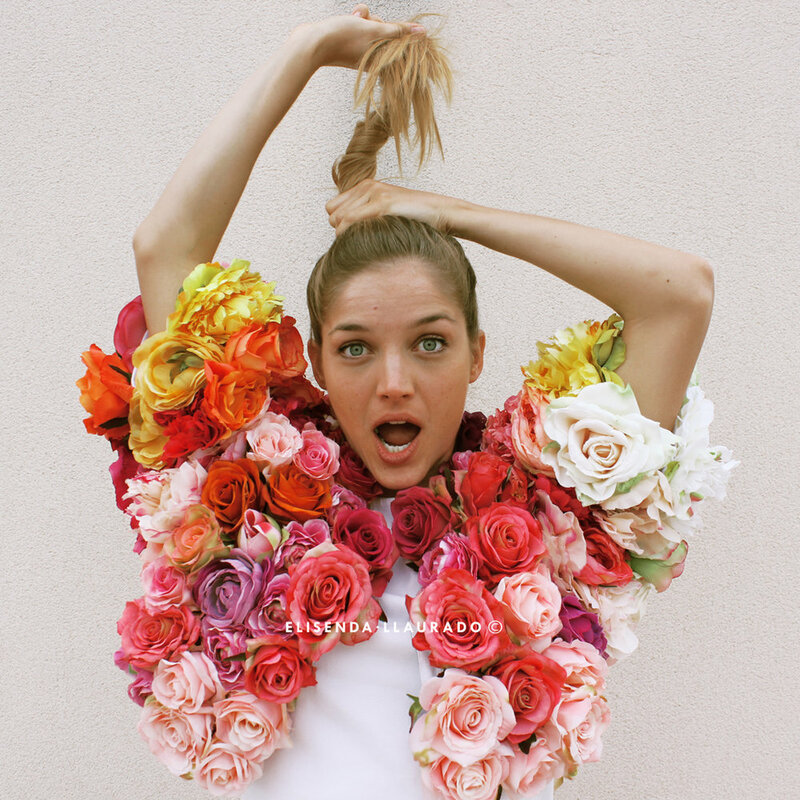 This Strato di Fiori (Flower Cape) handmade from scratch by Elisenda Llaurado Vila. It is made with about 200+ silk flowers. I drafted the pattern and sewed each flower into it. Replica of the coat that Lana del Rei wore in one of her albums. I designed the pattern of the cape and then sewed each flower one by one by hand. This is Lana del Rei with her flower cape.